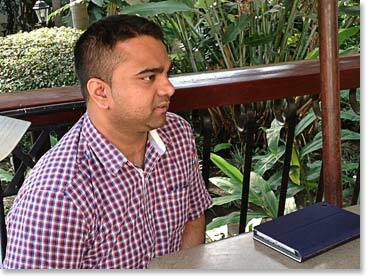 Arnold called into the office today to report that Bharath had a very busy but fun filled day in Arusha! They began their day with a team orientation where Bharath and his guides went over the details of his climb. They helped him go through his gear and showed him the best way to pack his bags for convenience on the mountain. 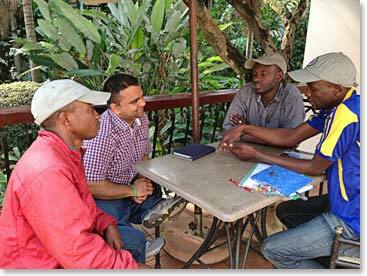 After their orientation and gear check Bharath and his guides went into the town Arusha to do some exploring. 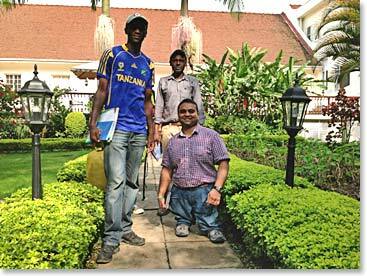 While touring the streets of Arusha they decided to visit the center for handicapped people in town. Bharath said he has a friend who wants to open a place exactly like this one and that they have plans to do the same types of activities they saw people doing in the center today. It was truly an incredible experience for him and he was very happy to be a part of it! Tomorrow Bharath and his team will head to the Umbwe gates where they will begin climbing through the stunning old growth forest section of Kilimanjaro. Bharath has mentioned many times today how excited he is to start his adventure and he can’t believe it will begin when he wakes up tomorrow morning! 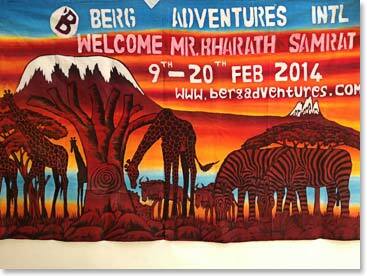 After all of his training, planning and dedication Bharath’s Kilimanjaro adventure begins! Bharath and his guides, Fredy and Kornel, go over the details of his climb. 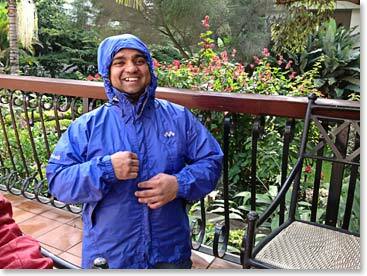 Bharath looking great in his rain gear! 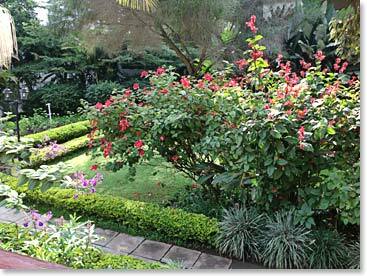 This time of year in Arusha we see lush green landscapes with many beautiful flowers. 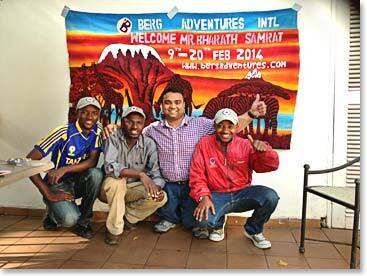 Bharath and his guides ready to explore Arusha! Tomorrow this team will begin their incredible journey to the top of Kilimanjaro and are they ever excited!